“Dioecy” is when a species has distinct male and female characteristics. 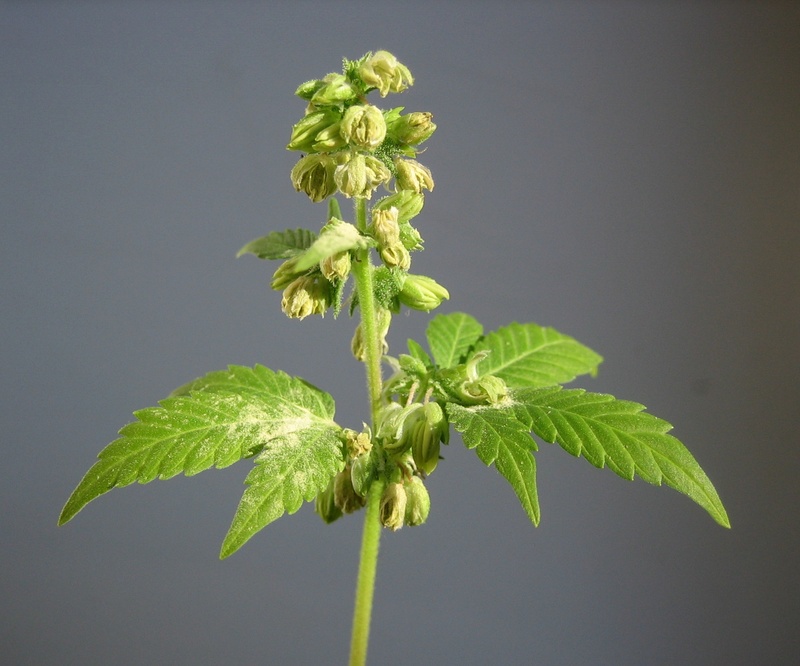 Unusually amongst the plant kingdom, cannabis also displays this characteristic, although cannabis can also self-pollinate. Some people have taken advantage of this self-pollinating aspect to retain the characteristics of a specific female plant, but this also means that future plants will be prone to hermaphroditism, which will eventually turn into a weakened gene pool due to inbreeding. Keeping good male plants can keep the cannabis plant alive for generations to come. 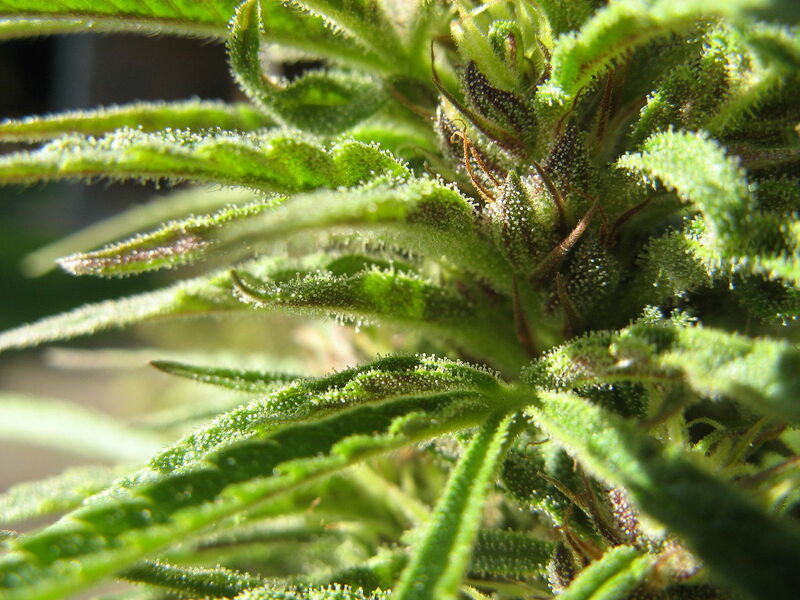 Close-up shot of a female cannabis plant. … And when you have more variety, there’s a greater number of characteristics to choose from. Not only does this mean the gene pool is kept alive, but we can also start selecting for resistance to pathogens, growth rate, general health, and even different cannabinoid and terpenoid profiles. You may have looked at seed breeders and banks, and noticed that all auto-flowering strains are also feminised. This is because male plants can have auto-flowering traits, and these can be passed on over by breeding it with the pollen of an auto-flowering female plant. You can then eventually produce true-breeding feminized, auto-flowering plants. Sadly, these feminized auto-flowering plants cannot be cloned, and they will not produce seeds unless fertilized by a male. As cannabis is a dioecious species, this means that it’ll carry half of the genetics from the mother and the other half from its father. Now, although cannabinoid concentration is generally higher in female plants, this doesn’t mean that the fathers don’t have some amount of CBD, THC and other cannabinoids and terpenoids of their own. 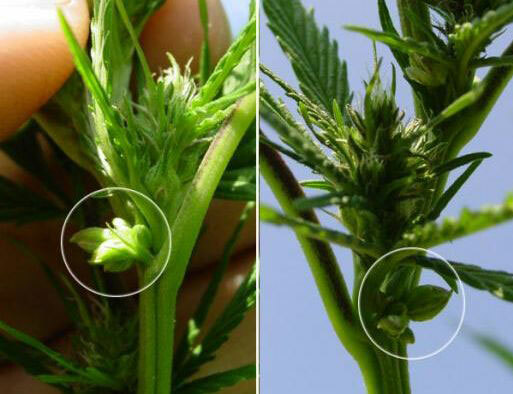 Male leaves also tend to contain more cannabinoids than their flowers (the opposite is the case with female plants). This means that, yes, males produce their own resin glands, and can be used to make limited amounts of hashish when harvested in large amounts. However, most breeders would be looking at the resin and cannabinoid-terpenoid content of a male plant in order to create strains that are disease-resistant, high-yielding and potent. Male plants can also be used to breed strains for specific cannabinoids – essentially breeding a male plant that contains a high CBD concentration with a female plant that has a high CBD concentration. Some outdoor breeders will use male cannabis plants not only as a way to keep themselves stocked up on seeds, but also to use terpenes that male cannabis plants produce, like pinene, limonene and borneol, in order to act as an insect repellent for other crops. If male plants are kept some distance and separated away from female plants, then they will not fertilize (unless you handle pollen and handle a female plant immediately afterwards). So, as you can see, male cannabis plants are an important facet of any good breeding programme. If you want to get a medical marijuana card and grower’s license, book an appointment talk to a physician at Leafwell today or whenever best suits you.